In other actions, a judge denied Houston hedge fund manager George Jarkesy Jr.'s plea to dismiss the SEC's fraud case against him. A judge threw out a hedge fund manager's claims of SEC prejudice. The SEC came out the winner when Houston hedge fund manager George Jarkesy Jr. tried to have the regulator’s case against him dismissed. Also among recent enforcement actions were an emergency freeze on assets of an investor accused of filing a fake gold bid who has fled to China and SEC charges against an attorney for a fraudulent real estate offering. In addition, FINRA fined and censured Goldman Sachs Execution & Clearing on written supervisory procedure (WSP) failures. The SEC has won a temporary asset freeze against Luis Chang and Everbright Development Overseas Ltd., a company he controls, after Chang submitted a fake $750 million bid for Allied Nevada Gold Corp., reaped profits of more than $7 million, and then fled to China. According to the agency, Chang “furtively” bought stock in the company beginning in May of 2013. Then, on Jan. 14, after Chang had amassed a large position in the stock — one that he failed to report, as he was legally required to do — a statement ostensibly from a company called China Gold Stone Mining Development Ltd. was released at 6 a.m., saying that the company was offering $7.50 per share for Allied Nevada. Before the market opened that day, Allied Nevada’s shares were already on the rise. Later in the morning, however, trading was halted in the stock and Allied Nevada challenged whether the offer was legitimate. It was later withdrawn. The SEC has said that China Gold’s existence cannot be proven, nor can its financial condition be evaluated. George Jarkesy Jr., who tried to have an SEC administrative action against him dismissed, has failed in the attempt. Jarkesy, a hedge fund manager, was charged in March along with his investment fund management group, John Thomas Capital Management LLC (now renamed Patriot28), with defrauding investors in two hedge funds and steering bloated fees to Thomas Belesis, founder and CEO of brokerage firm John Thomas Financial Inc. Belesis was also charged. Jarkesy had argued that neither he nor his firm can get a fair hearing before the SEC. He alleged that the agency has prejudged him because of findings in a settlement with Belesis. The SEC has said that Jarkesy had led investors to believe that he was solely responsible for investment decisions for the funds, when in fact Belesis had often stepped in to make decisions and channel money from the funds into a company in which he had an interest, and had also compelled Jarkesy to fork over unreasonable fees. However, U.S. District Judge Beryl Howell wasn’t buying it. She ruled that Jarkesy has to go through the process of hearings before an administrative court judge and SEC commissioners and, if still unsatisfied, the court of appeals. 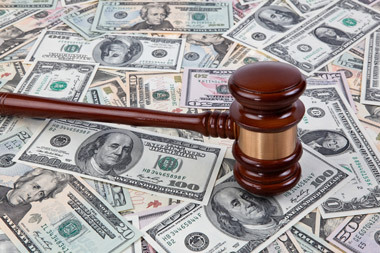 Attorney Robert Acri, founder of Kenilworth Asset Management LLC, was charged by the SEC with defrauding investors in connection with a real estate venture for which his firm offered securities. An SEC examination led to an investigation that found that Acri had misled clients in the offer and sale of promissory notes issued for the redevelopment of a retail shopping center near Hammond, Ind. In early 2011, Acri decided to raise funds from Kenilworth clients for the shopping center project when its developer Praedium Development Corp. was unable to obtain traditional financing. Praedium created a new entity, Prairie Common Holdings LLC, to issue the notes for Acri’s efforts. One of Acri’s primary purposes for selling Prairie’s notes to Kenilworth clients was to give other Kenilworth clients who had invested in Praedium through a private fund several years earlier a chance to recover their money from that investment. Praedium had previously defaulted on a half-million-dollar loan from the private fund. Acri did not tell any of this to clients — not about the default, the purpose of the new notes, or that Praedium and an affiliate had fallen behind in mortgage, property tax, and contractor invoice payments. He did not even tell them that Praedium was the developer — one of Praedium’s owners was his personal friend and was in financial trouble. He also failed to disclose another aspect of the fundraising: Acri’s use of $41,250 from the money brought in for Prairie’s notes to pay off clients from the earlier investment mess, to pay an individual who was supposedly going to find a loan for Praedium, and to make payment toward a settlement in another lawsuit that had been brought against him. Acri also hid the fact that Kenilworth was to get a 5% commission on each sale of notes. Acri, who resigned from Kenilworth in August 2012, agreed to settle the SEC’s charges by disgorging the misappropriated investor funds and undisclosed commissions plus interest, and by paying an additional penalty for a total of approximately $115,000 in monetary sanctions. He also agreed to sanctions that included a cease and desist from further violations and bars from the securities industry and from appearing before the SEC as an attorney on behalf of any entity the agency regulated. Goldman Sachs Execution & Clearing L.P. was censured by FINRA, fined $325,000 and required to revise its WSPs on findings that those WSPs were inadequate to address the issue of closeouts. According to FINRA, certain options market makers (OMM) among the firm’s clientele had, on a number of occasions, sold short a security on the same day that they were notified that they were being “bought in” by the firm in that same security, typically in amounts equal to or greater than their attributed portion of the number of shares the firm purchased in an effort to meet its closeout obligations. These short sales would offset, partially or completely, the effect of the firm’s purchases on the firm’s net fail-to-deliver position in the National Securities Clearing Corp.’s Continuous Net Settlement System (CNS). WSPs failed to address the impact of the OMM activity on the closeout date on the firm’s net fail-to-deliver position to CNS and did not require the firm to allocate responsibility for the closeout to its broker-dealer clients, or take other appropriate steps to determine whether the firm was a net purchaser, or net flat or net long, as applicable, on the close-out date. Check out SEC, DOL Enforcement: Appeals Court Backs SEC in Citigroup Case on ThinkAdvisor.